Shortly after I got into yoga, I heard two yogi friends talking about their doshas. Admittedly, I thought they were talking about dosas, the savory Indian rice crepes. But it turns out they were talking about ayurveda (the traditional science of India) and the ayurvedic diet. This way of eating centers around your dosha, meaning your ayurvedic body type, and it can help you focus on eating wholesome foods that fuel your body in a balanced way. Ayurveda is a traditional medical system that translates to “science of life” and dates back at least 3,000 years. “It’s all about balance and how that applies to you,” says Andrea N. Giancoli, MPH, RD, Nutrition Manager at Openfit. According to ayurveda, the elements of water, air, fire, earth, and space (ether) are the building blocks of everything in life. The goal of ayurveda is to keep these elements balanced within your body. You can do that by being mindful of what you eat, your daily routine, your thoughts, your actions, and other aspects of your lifestyle. Here, we’ll focus specifically on what you eat, or the ayurvedic diet. “The ayurvedic diet takes a very ‘food-as-medicine’ approach, and the idea is that you’re supporting the body’s own inherent wisdom so you can maintain health and balance,” says Tish Hilyer, E-RYT 200, a Certified Ayurveda Wellness Counselor and yoga teacher in Hendersonville, NC. The diet focuses on agni (digestive fire) as the foundation of digestive health. Following an ayurvedic diet means you “eat in a way that keeps your fire strong and balanced to nourish the whole body and mind,” Hilyer adds. You also base the diet around your dosha, meaning your ayurvedic body type. Each dosha has specific needs, and by serving each need, you can help keep your body balanced. What are the Three Ayurveda Body Types (Doshas)? “Vata is the air and space elements in the body. It’s the energy of movement,” Hilyer says. “The qualities of vata are light, dry, cold, and mobile.” People with vata body types might be light or thin, with creative energy, dryness in the body, and gas/bloating. “Pitta is the fire and water element expressed in the body,” she says. It’s the energy of transformation, metabolism, and digestion. “Pittas tend to be medium, athletic bodies, driven, intelligent, maybe fiery personalities,” she says. They tend to have strong digestion, as well as hot emotions. “Kapha is earth and water element,” she explains. It’s energy is heavy, cool, slow, steady, and stable. “This body type tends to have a larger body frame, and is really strong, kind, compassionate,” she says. Kapha digestion is slow and sluggish, and there may be a tendency for this dosha to have low energy. No dosha is superior to another, and everyone has a ratio of these all ayurvedic body types within us. Your personality may be fiery like pitta in nature, while your physical body is long and lanky, like vata. You might have two dominant doshas, or you could be tridoshic (balanced, yeah!). During some stages of life or some seasons, one dosha might be stronger than another. If you don’t know your dosha, start with an ayurveda test, or find an ayurvedic professional near you. When starting an ayurvedic diet, you’ll want to consult your dosha to figure out the best ayurvedic foods to eat. Then, compare the qualities of your dosha to the qualities that different foods have, Hilyer says. Would those qualities add more to your dominant dosha, or would they offer balance by bringing in qualities from other doshas? Don’t focus on excluding foods entirely, but instead focus on including more foods with the qualities you want to increase. What to Eat: A vata diet should include “more cooked foods that are well-spiced,” says Hilyer. This will help balance the dry and cool nature of a vata body type. Include oatmeal, soups, root vegetables, curries, and rice, a little sweetness, with more cooked vegetables than raw ones. What to Avoid: Limit light, dry, and cold foods — raw vegetables, cold drinks, and dry crunchy snacks. What to Eat: “A pitta diet needs to cool and calm down the fire,” says Hilyer. Include cooling foods like avocado, cucumber, cilantro, and bitter greens. What to Avoid: Limit foods like rice and lentils, or anything that’s too spicy or stimulating. What to Eat: A kapha diet needs to be lighter and more stimulating, says Hilyer. Think: lighter proteins, beans, vegetables, and some fruits. What to Avoid: “Take away the heavy foods and cold foods,” says Hilyer, like ice cream, pasta, and stews. No matter what your dosha is, there are still a few common guidelines to follow. And you don’t have to eat only Indian dishes or specific ayurvedic recipes to follow an ayurvedic diet! Any cuisine can fit within these principles. Eat seasonal, local, and organic foods, and opt for easy-to-digest whole foods. Cook with herbs and spices, and drink teas made from ayurvedic herbs you already know — fennel, turmeric, ginger, cumin, and coriander. Eat plenty of whole grains, legumes, vegetables, herbs, and spices, with small amounts of meat, dairy, and fruit. Limit or avoid alcohol, caffeine, processed foods, added antibiotics and hormones in food, GMO foods, and unrecognizable ingredients. Try some basic ayurvedic recipes: start with kitchari, a warming, nourishing stew of grains and legumes with spices that aid digestion and ghee. 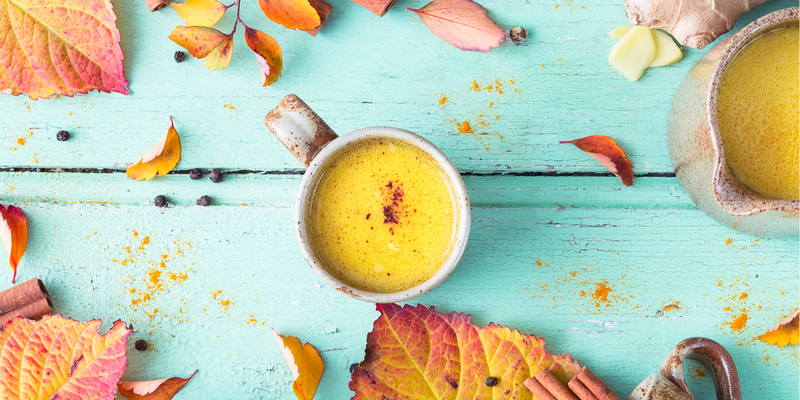 Then, whip up a batch of homemade Golden Milk, which is a staple in ayurveda. Create a routine around food — turn off the TV, and sit down to eat, ideally at the same time each day. It asks you to listen to your body. An ayurvedic diet encourages moderation and mindful eating. According to Hilyer, ayurveda’s focus on digestion allows you to notice the impact that specific foods have on you, as well as how much you eaat, when and where you eat, and how your food is prepared. It may lead to weight loss. “The choices for the different doshas are, for the most part, healthful foods that are helping people get away from processed foods,” Giancoli says, which in turn can be beneficial for your waistline. And according to a 2014 pilot study, following an ayurveda and yoga-based lifestyle can be a feasible approach to weight management.